An easy pipeline tool for Maya that helps you focus on your work rather then organizing files. 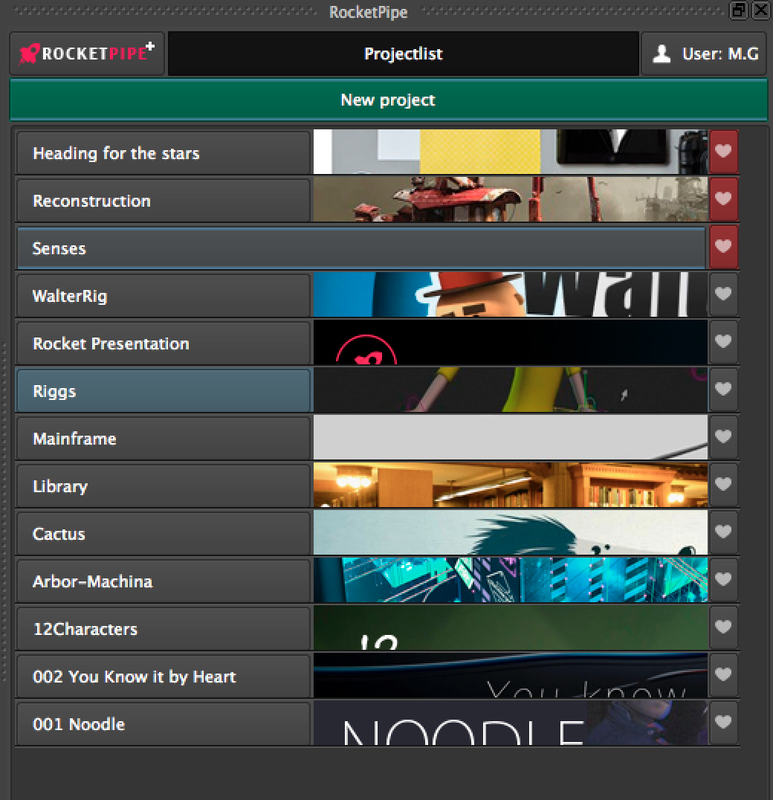 RocketPipe help you quickly layout a structure for your project in Maya and organize assets. Automatic screenshots, adding notes to scenes, easy export and more. It creates the basic folder structures for you, and help you keep it tidy. Creating a good overview of your projects structure. The tools you need in one place. Simple interface Straightforward interface that is visible just when you need it. It is integrated into the existing interface of Maya and can be custimized for your needs. Visual View scenes without going throw tons of versions. 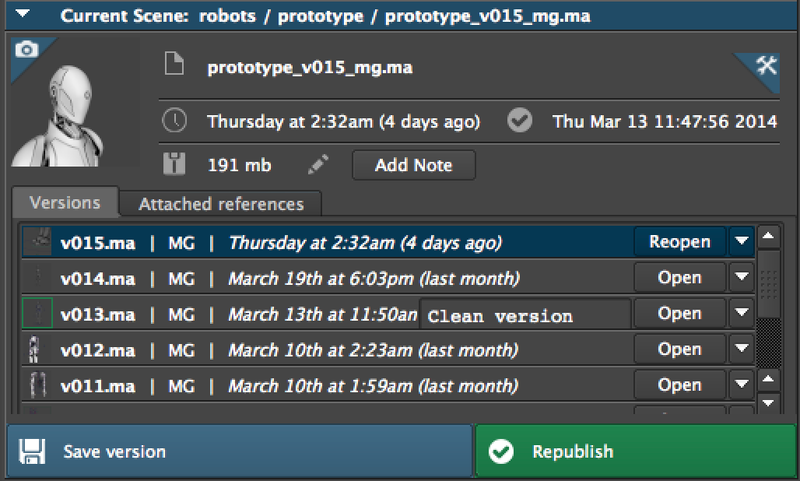 RocketPipe saves screenshots of every version and you can even add notes to describe changes for easy management. 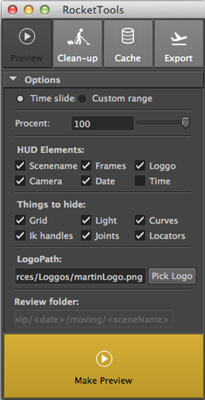 Save time Save time when creating assets, as it takes care of filenames and versions. Keep things organized with categories and shots folders. Cross-platform Work cross platform (Mac, Windows) with the same interface and features. 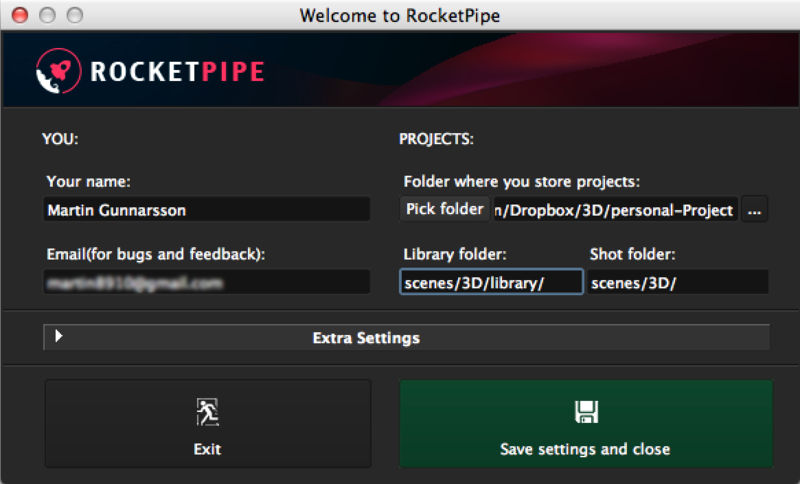 Setting up RocketPipe is as easy as dropping a folder into maya-prefs and run a single-line code in Maya. You then get to sign in with your information, that get storred in preferences next time you open up Maya. It means that you have acces to the latest you working on. Simple see what have been updated in a scene without opening it. With automatic screenshot for eatch version, and the option to add notes makes it easy to find the right version. Switch between current projects with the built in project-manager. Set up custom headers and mark the project you currently working on. Simplified export to common formats, playblasts with customs information like scenename and more. Thise is just some of the tools that will help you speed up your workflow. See how the plugin works. It's very easy! Copyright © 2019 Martin Gunnarsson. All rights reserved.